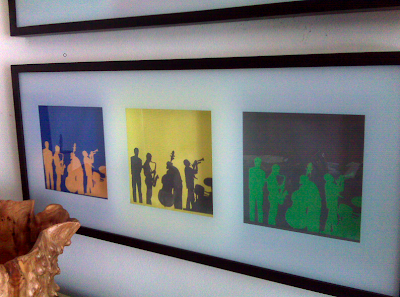 I love the idea of creating original artwork for your small space. It's personal, fun and rewarding to extend your creativity. I have created a few things for my home. 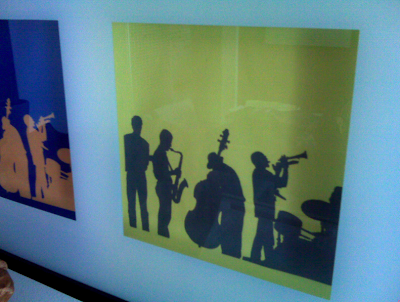 We loved this picture of a real jazz band posing. 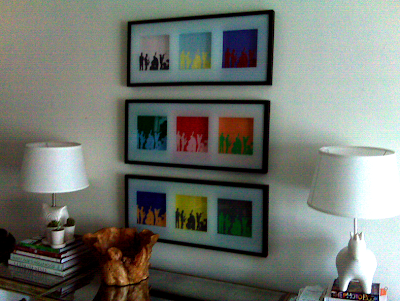 I did a little Photoshop magic, got a few frames on sale and - voila - a colorful centerpiece for our mirrored buffet! 1 Response to "SMALL SPACE D.I.Y. : Original artwork"
wow! awesomely awesome stuffz u got there! gr8 job!